SAN FRANCISCO, May 2, 2012 -- Jose Antonio Vargas, an award-winning journalist and activist, has been named the 2012 Alumnus of the Year by San Francisco State University. Less than a decade after graduating from SF State, Vargas has won a Pulitzer Prize for his reporting at The Washington Post, written for top publications such as The New Yorker and Rolling Stone, and become a bold advocate for immigration reform. 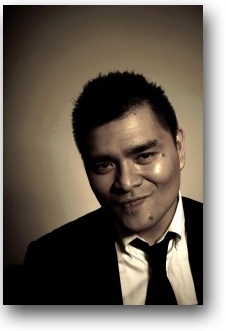 Jose Antonio Vargas. Credit: Gerry Salva Cruz. Vargas (B.A. '04) will be honored by SF State at the University's 111th Commencement exercises to be held Saturday, May 19, in Cox Stadium on campus. In 2008, Vargas won the Pulitzer Prize for breaking news as part of The Washington Post team that covered the Virginia Tech shootings. An early follower of social media in journalism, Vargas used Facebook to find an eyewitness account from Virginia Tech. His feature about how students connected through Facebook after the massacre was part of the Post's prize-winning coverage. He later wrote an intimate profile of Facebook co-founder and CEO Mark Zuckerberg for The New Yorker. Vargas graduated from SF State with a major in political science and a minor in black studies. Just two days after graduation, he began his career at The Washington Post, where he covered politics and the Internet, the 2008 presidential campaign, video game culture and HIV/ AIDS. He later became a senior contributing editor at The Huffington Post. In a June 2011 essay in The New York Times Magazine, Vargas revealed his status as an undocumented immigrant. The piece earned him an award for socially conscious journalism from the Sidney Hillman Foundation and paved the way for the launch of Define American, a nonpartisan, nonprofit multimedia campaign Vargas founded last year to elevate the conversation about immigration in the U.S.
"Jose Antonio Vargas came here as an immigrant child, excelled academically and became an award-winning reporter -- the American dream realized," said University President Robert A. Corrigan. "We are proud to honor him." Vargas was born and raised in the Philippines until the age of 12, when his mother sent him to live with his grandparents in Mountain View, Calif. At 17, an SF State summer camp sparked his interest in journalism. "I attended the Bay Area Multicultural Media Academy, a two-week journalism camp for minority students. It sealed my career as a journalist," Vargas said. "It was the first time I'd heard the idea of a career as a journalist." School and worked full time at the San Francisco Chronicle while earning his degree at SF State. "SF State was the right fit for me," Vargas said. "It was an incredibly welcoming and diverse environment. I felt included." In addition to his distinguished journalism career, Vargas co-produced and wrote a feature-length documentary about the HIV/AIDS crisis in Washington, D.C. Titled "The Other City." The film premiered at the 2010 Tribeca Film Festival and aired on Showtime. SF State's Alumnus of the Year award recognizes significant contributions in an alumnus' field of work. Previous honorees include environmentalist Randy Hayes; actor Jeffrey Tambor; award-winning filmmaker Arthur Dong; Kenneth Fong, chairman of Kenson Ventures LLC; Manny Mashouf, founder and chairman of bebe stores, inc.; E-LOAN co-founder/CEO Chris Larsen; actress Annette Bening; former San Francisco Mayor Willie Brown; and physician and NASA astronaut Yvonne Cagle. SF State is the only master's level public university serving the counties of San Francisco, San Mateo and Marin. The University enrolls nearly 30,000 students each year. With nationally acclaimed programs in a range of fields -- from creative writing, cinema and biology to history, broadcast and electronic communications arts, theatre arts and ethnic studies -- the University's more than 212,000 graduates have contributed to the economic cultural and civic fabric of San Francisco and beyond.